It's fair to say that The Expendables 3 failed at the box office. Sylvester Stallone and the studio made a conscious decision to make the film PG-13 (instead of R like the previous 2) as to "reach the younger audience". Part of why people liked these Expendables movie was because it was designed to be a lot like the 80's action flick, which were hard R movies. 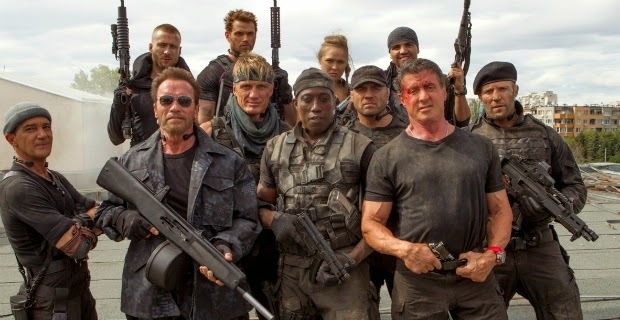 A lot of people weren't on board for a PG-13 Expendables 3 and, as we all know, it didn't do so well at the box office. I'm not sure exactly what kind of situation he is talking about here, but I'll be interested to see where the franchise goes from here. What do you think? Did you like The Expendables 3? Were you opposed to the PG-13 rating? Are you looking forward to a fourth one? Leave your thoughts in the comments section below. Has Wonder Woman Found Its Director?